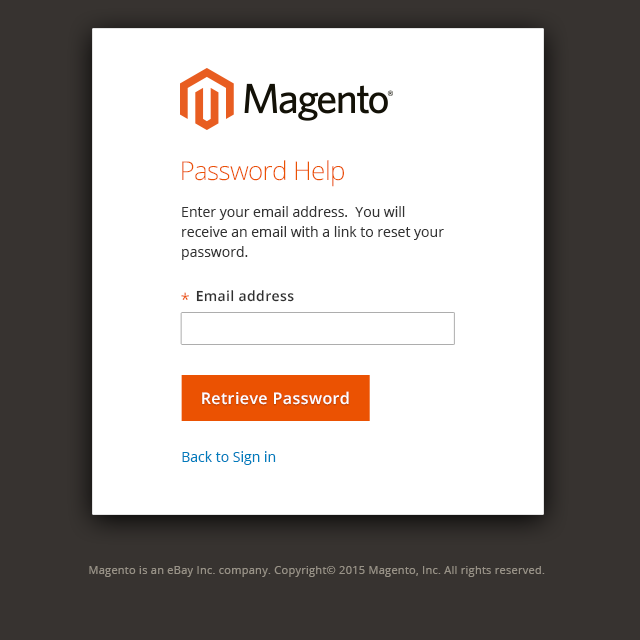 “Sign in” is used to log into the system, or to recover a lost password. 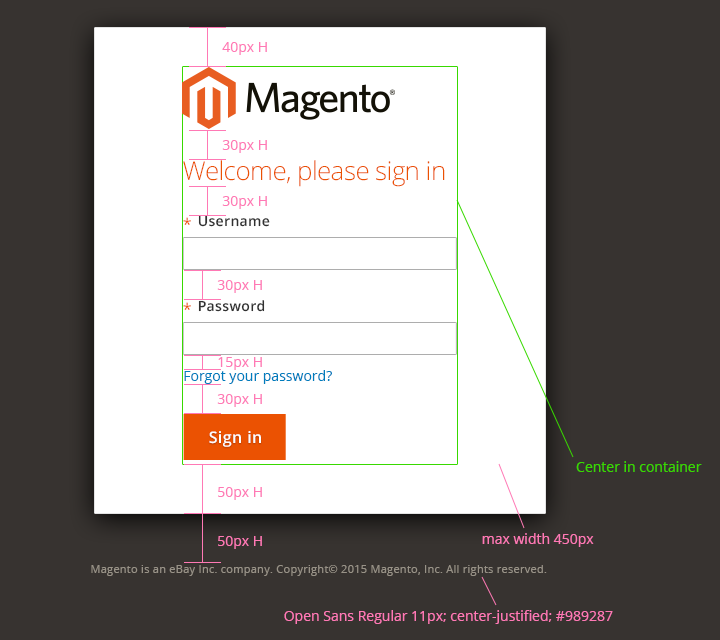 Use this pattern when user needs to sign into the system. 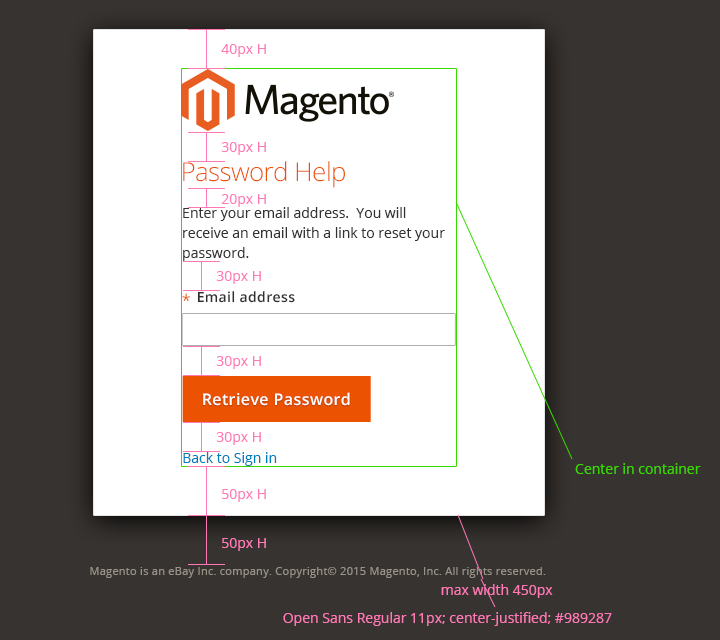 Fifth tab = return to top of the order. Once a user submits their email address to retrieve their password, the module will provide a confirmation on the action via text in the module. In the event that the user enters an invalid email address, either by mistyping or by entering an unregistered email address, the module will display an alert message. 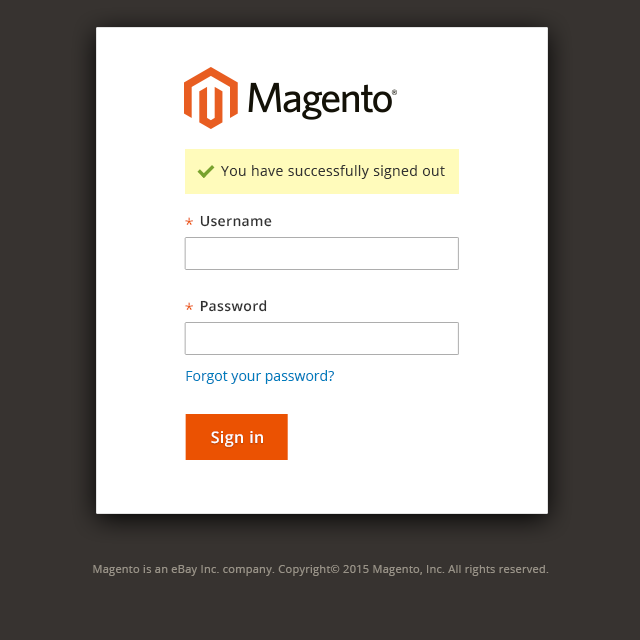 a button to submit the user’s credentials – Sign in. 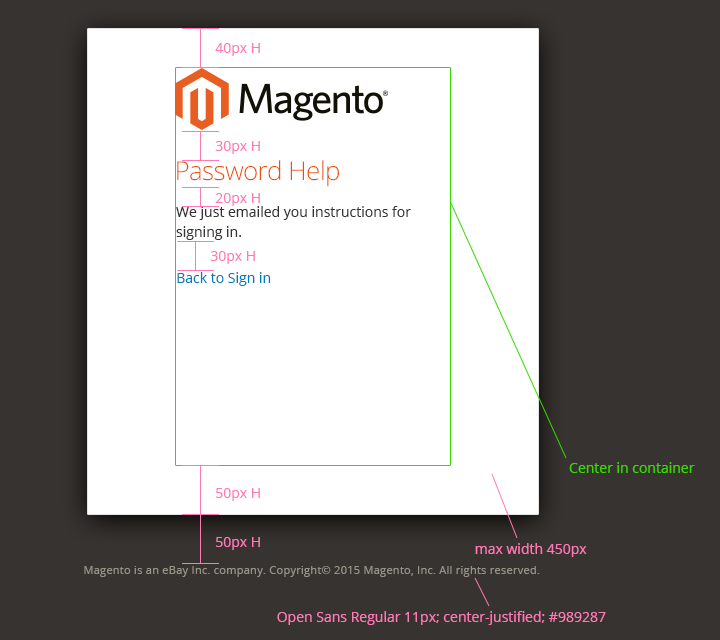 The module container should be centered in the browser and should be some percentage of the width viewport (about one-half) but no less that 450px on desktop and tablet form factors. 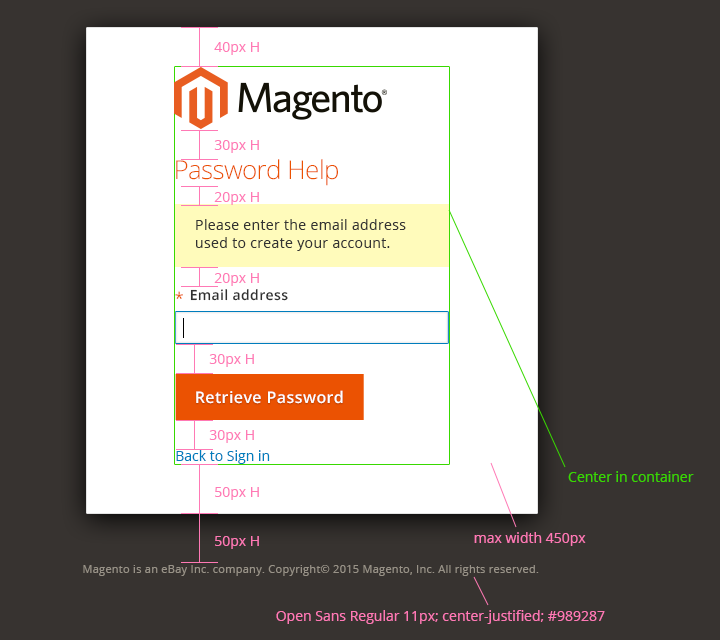 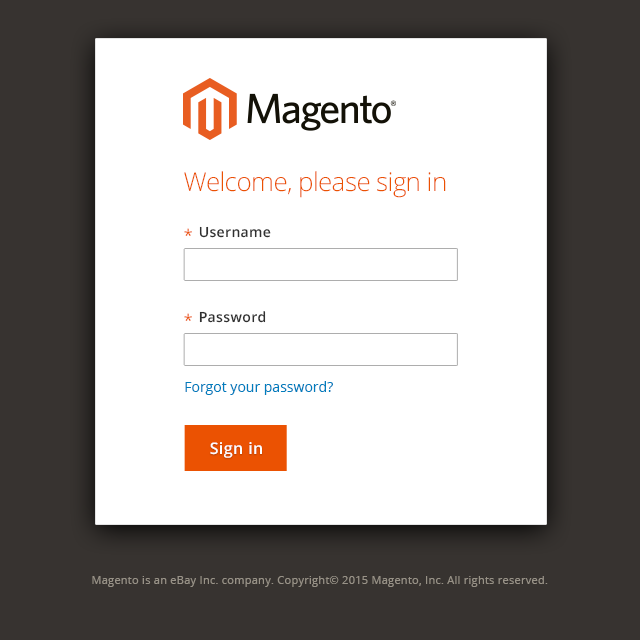 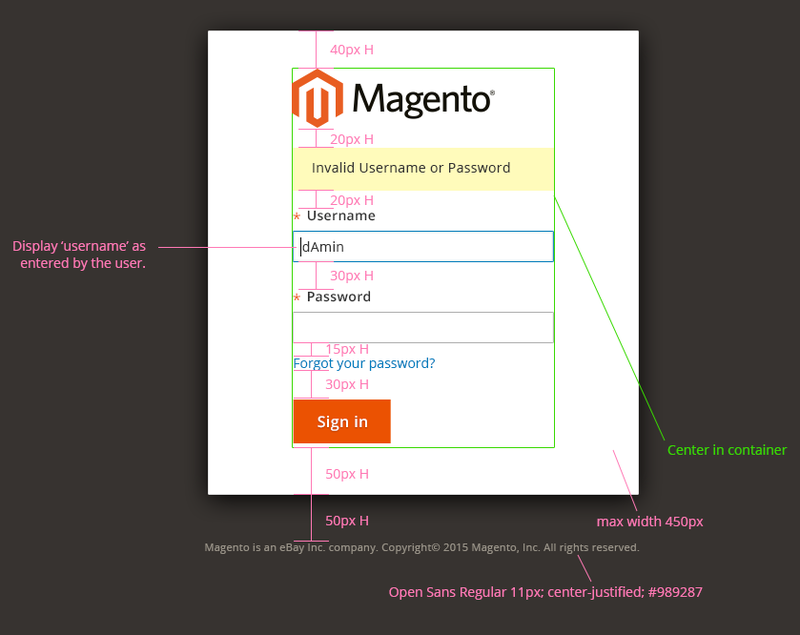 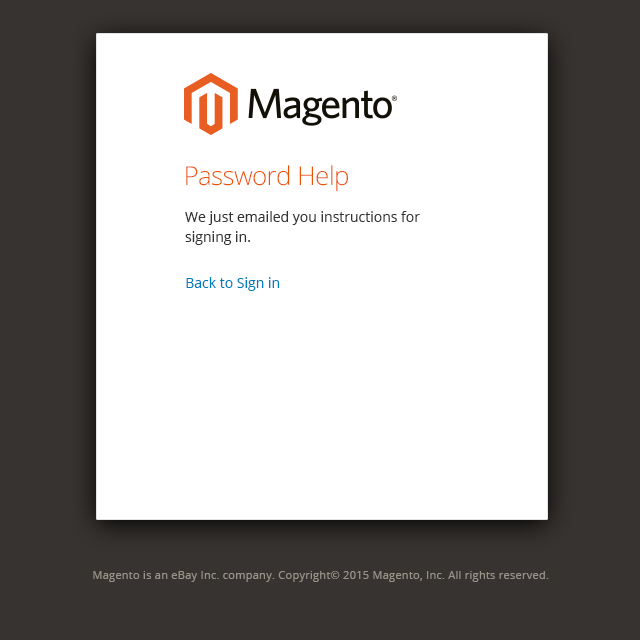 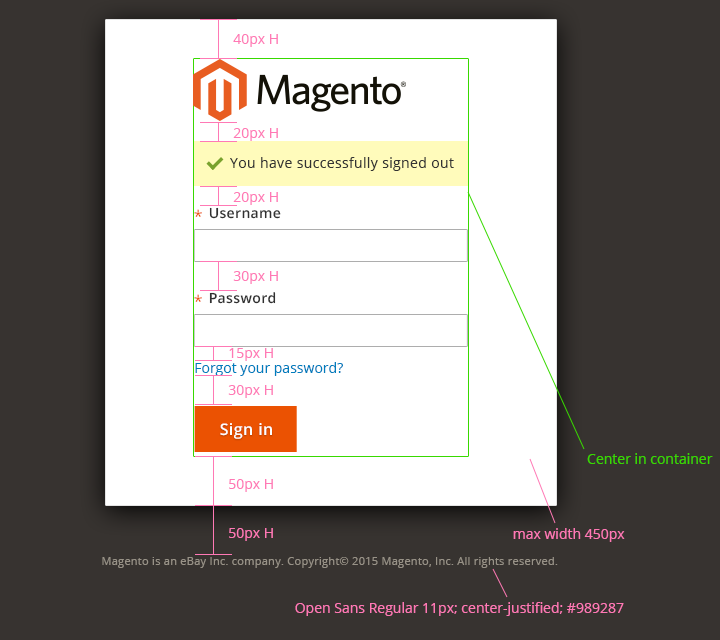 For any questions or additional information about the sign-in module please contact the Magento User Experience and Product Design team.